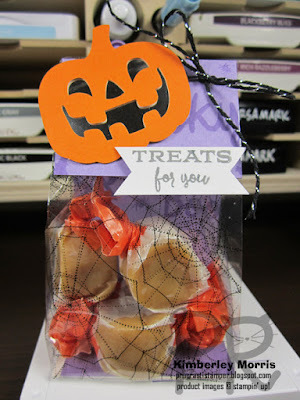 Welcome to our September 2018 #APaperPumpkinThing Blog Hop. 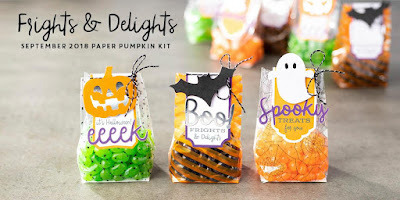 Our Paper Pumpkin kit this month is called Frights and Delights. It came with supplies to make 24 spooky-cute treat bags, 8 each of 3 different designs! 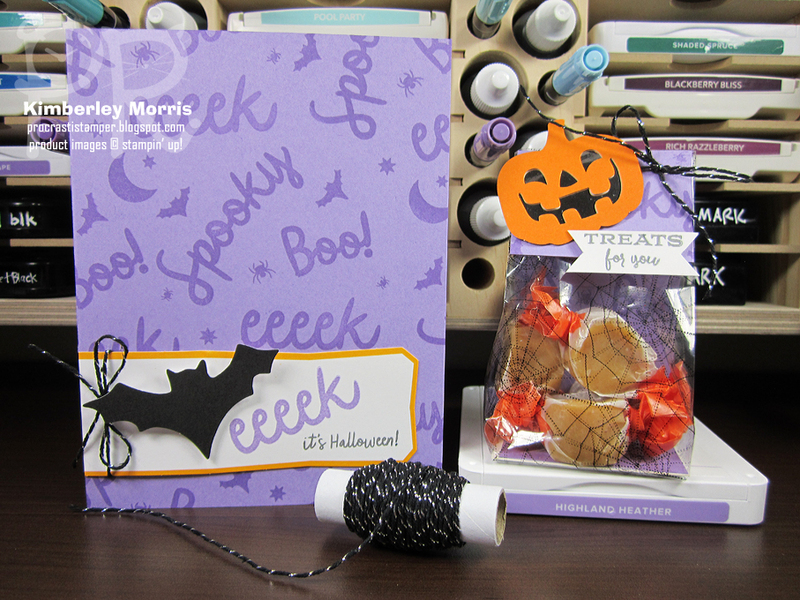 Most months the kits contain cards...which I *love*, but I really prefer the treat packaging kit for Halloween. You can watch a replay of a livestream of me unboxing and assembling this month's kit according to the package instructions, on my Facebook Business Page by either clicking the image above, or clicking HERE. Before I tell you about my alternates for this month, PURR-lease promise me you'll scroll down below the Blog Roll for this post, and checkout my PROJECT Pay-PURR Pumpkin Fundraiser to benefit a cat rescue and shelter local to me, the Fundraiser only runs through September 30th! 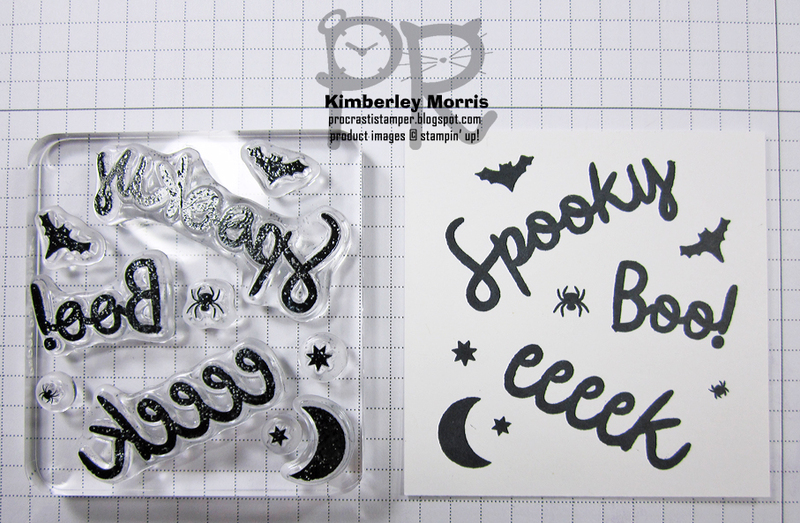 Both projects feature a repeating pattern using most of the images that came in this month's Paper Pumpkin stamp set! 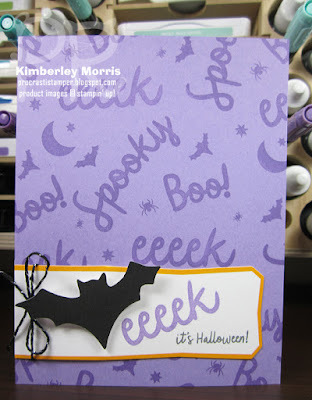 I'll show you how I did that below, but you can see the pattern most clearly on the background of the card. To make the repeating pattern, I simply arranged the stamps on the clear block in a way that worked for me, and inked it up. I used Highland Heather ink on the projects, but I've inked up the images in black here, to give them better contrast for the picture. Another trick that I use, is to stamp a "master" sheet of the pattern once I've gotten the layout right. I store the "master" sheet with my stamps, and all I have to do if I want to repeat it, is lay the stamps over the pattern, and press the block back down over all of them. Voila...I've got the same pattern I used before! For the greeting, I used one of the foldover tag toppers included in the kit, I just left it flat instead of folding it over. I mostly covered the score mark with the die cut bat from the kit, so it's barely noticeable unless you look for it. The tag topper is longer than the width of the card, so I trimmed the end off a bit. AND, I kept that little piece to use on the bag! I'll show you what I mean below. For the bag, I added a piece of Highland Heather Cardstock cut to 2-1/8" x 6-3/4", scored at 1-1/2", and 5-1/4". 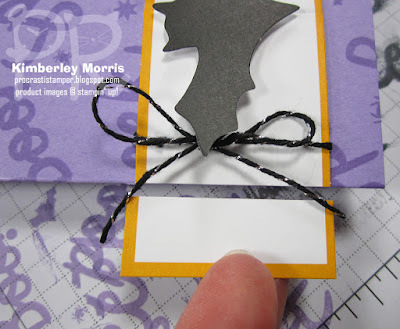 I'll do a video for you on My Facebook Business Page later and link it here, but you basically stamp on that piece, tuck it into the bag, punch a couple of holes through the whole thing, and tie a bow through it with some of the fabulous Black & Silver Baker's Twine that came in the kit. Here's the part where I used the trimmed piece from the tag topper. You can see the bit I cut off. I turned that OVER and used the plain white side. I just eyeballed it when I trimmed it, and it happened to be the perfect size for the image that says "TREATS for you". However, if you want to measure, it looks like it was about 9/16" that was cut away. 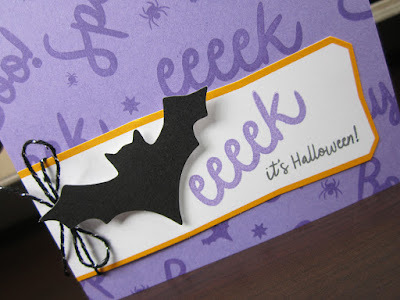 I stamped the greeting, then used my Paper Snips to cut in the little angles on the sides of the tag. 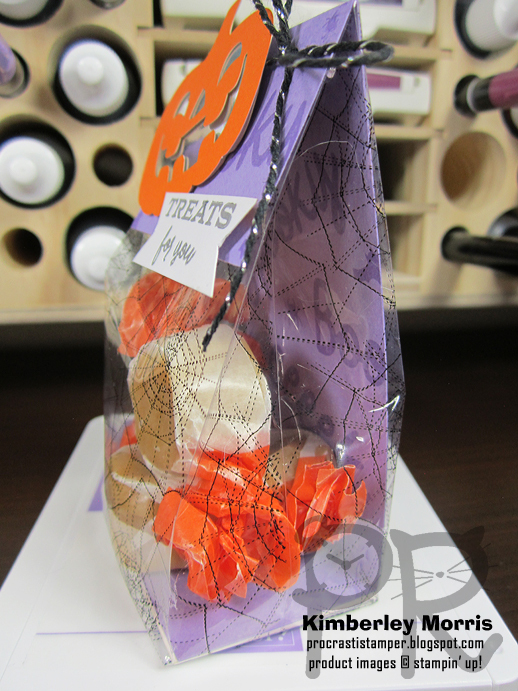 You can see a little view of that same stamped pattern from the card front, on the cardstock inside the bag. Again, the pattern was already set up on the block from the card, so this project was super quick. 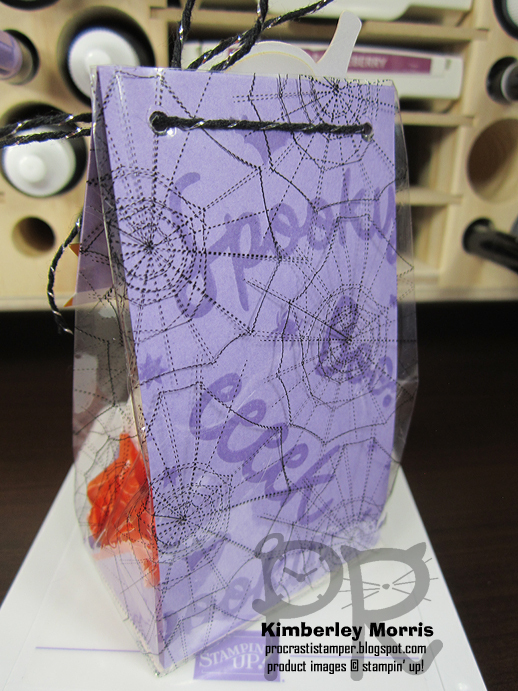 And finally, because you can see through the bag, I wanted to stamp the same pattern on the back of the cardstock piece. Like I said, the pattern was already set up on the stamp, it took like a half second to stamp it...so why not?? NEXT UP: Click the Next button below to see Dena's "spooky" projects! If you have any problems navigating the hop, there is also a Blog Roll listed below for your convenience. 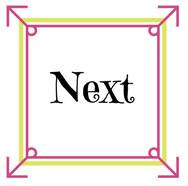 no later than 11:50pm MT September 30th. 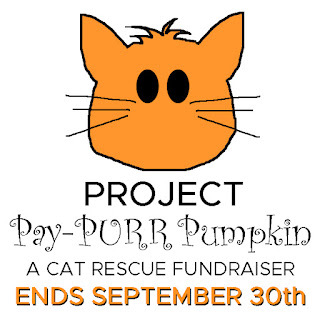 Just click the PROJECT Pay-PURR Pumpkin kitty image, or the link, for step-by-step ordering information. Thanks for your support!